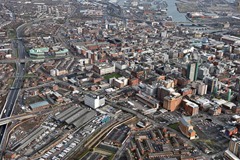 A range of projects will underpin growth in Northern Ireland’s capital over the next decade. agendaNi examines the drivers for change and the Executive’s plans. After half a century of population decline, Belfast is turning a corner and the city’s infrastructure plans anticipate continued growth over the coming decades. Belfast was home to 443,000 people in 1951. Over the next half-century, its population decreased to 277,000 as residents moved to the suburbs – a trend accelerated by the Troubles. The core industries of shipbuilding and textiles largely closed down and were mainly replaced by office jobs. The city’s population – based on the outgoing council area – rose to 280,962 at the last census in 2011, helped by peace and stronger economic growth. This increased further to 333,871 when the new boundaries took effect on 1 April, incorporating Twinbrook, Poleglass and Braniel. Business leaders hope that the lowering of corporation tax will bring about a paradigm shift in the city’s economy. In any event, the steady flow of foreign direct investment and start-ups will partly offset public sector redundancies. 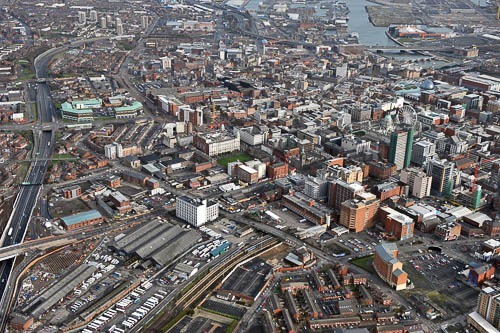 The Executive’s Regional Development Strategy is ambitious about Belfast’s future and sets a target of 300,000 residents by 2021, which translates into 360,000 based on the new city limits. To cater for growth, the strategy emphasises the need to increase the housing stock and provide an efficient public transport system (thus reducing congestion). Improved public transport should be accompanied by a reduction in all-day car parking spaces in the city centre. Housing growth will increase demand for water and waste water treatment. Developers should therefore ensure that new housing developments have a sufficient water supply or that the infrastructure is installed in advance. Most jobs are expected to be in the office and services sectors with businesses attracted by a skilled workforce and the city’s good quality of life. Belfast will remain as the region’s “primary retail location” and planners are therefore keen to deter out-of-town shopping centres. They are keen to protect environmentally sensitive areas e.g. the Belfast Hills, Lagan Valley Regional Park and Belfast Lough wetlands. Walking and cycling around the city should also be made easier, to benefit the environment and encourage residents to live healthier lives. The Belfast Transport Hub will be built on the 20-acre site of the Europa bus centre and Great Victoria Street railway station. 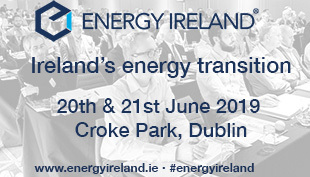 The area has a current footfall of 6.7 million people per year, almost equivalent to the combined passenger total for Northern Ireland’s airports. Translink predicts that this could increase to 13 million by 2030. A Grant Thornton study, commissioned by Translink, suggests that the development of the surrounding land could create 2,500 new jobs and generate £56 million in gross value added. Construction is expected to commence in 2016-2017 subject to funding and planning permission. The design and construction team comprises Arup and John McAslan + Partners with Hiro Aso as lead architect. Aso oversaw the redesign of King’s Cross station and has been a consultant for Heathrow Terminal 5. 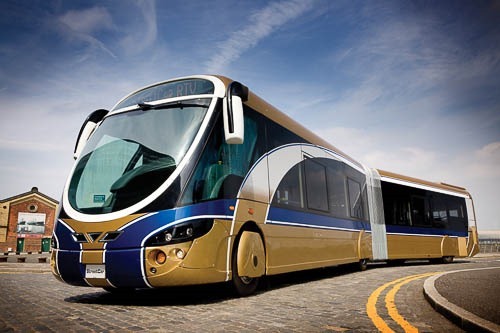 This project will be linked into Belfast Rapid Transit, which will connect East Belfast and West Belfast using standalone bus lanes. Works on the Upper Newtownards Road are to finish by November while those on the Falls Road will continue up to July 2016. Services are due to start in 2017. Separately, the York Street Interchange, to reduce congestion on the M2 and Westlink, will be subject to a public inquiry later this year. A construction timescale is not yet available but will be dependent on funding becoming available (£125-165 million). The scheme will take up to three years to complete. 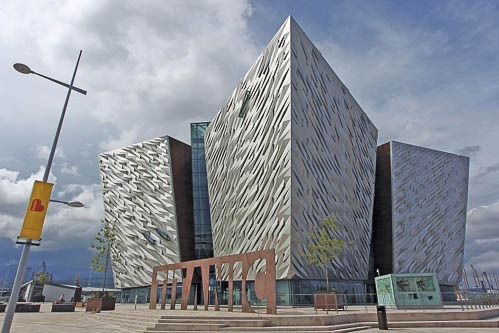 In recent years, the city has benefitted from public realm improvements and the construction of Titanic Belfast (pictured), the Mac and the new Lyric Theatre. A total of 128 projects have been completed in the city under the current Investment Strategy. Most of these are for social housing but projects also include school and college campus refurbishments, and new health and well-being centres. A further 73 projects are under way, including water mains upgrades in North Belfast. The upgrading of the Sydenham bypass and the widening of the Knock Road are in the planning stages but are also due to be delivered within the timeframe of the strategy i.e. by 2021. The 14-acre Girdwood Park site is located in an interface area of North Belfast. The first stage of its regeneration is the construction of the Girdwood leisure hub, due to open this summer. The £11.7 million project is funded through the EU’s Peace III programme. Facilities will include a gym, a youth space, multi-purpose rooms and an outdoor piazza with seating. 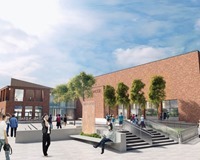 Belfast Metropolitan College will bring together several education and training programmes and offer these through classrooms on the site. Belfast City Council is working with local community groups on the Girdwood Hub Forum and hopes that the centre will prove useful for charities and other organisations across North Belfast.